Activities are the control and survey operations we conduct as part of the National Wilding Conifer Control Programme. Through activities we can monitor progress of the programme at a regional and national level. Control activities are the operations carried out to eradicate the wilding conifer infestations. Control activities are represented as blue polygons. Survey activities are the operations carried out to discover new infestations and re-evaluate the state of known infestations. Often times a survey is carried out as part of a control activity (e.g. search and destroy), in this case the activity should be recorded as a control activity. Survey activities are represented as green polygons. Each attribute is covered in more detail in the ‘Activity attributes’ section below. How do I define the boundaries of an activity? The boundaries of an activity will need to reflect the area of the operation that was carried out. How do I record the extent of an activity? The extent of an activity can be recorded using a tracking tool which captures a .gpx or .shp file of the path, or points you have visited while out on site. 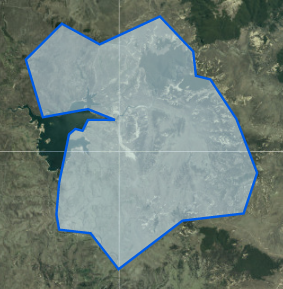 The WCIS provides functionality to import a .shp or .gpx file and create an activity polygon from the imported shape. .gpx and .shp files can also be imported from your local systems using the Data Importer Application. This could be useful where you have existing shapes in your own GPS system that you wish to use as the basis for activities in the WCIS. Path Tracking Path tracking involves using the Mobile Application’s tracking function to periodically note your geo-location and record a point. When you decide to stop tracking the points captured will form a polygon that defines the extent of the activity. This could be useful where you are flying a helicopter over an area, or for ground based crews who would travel around the extent of a controlled area. It could also be an easy way to form a crude draft shape that can be later refined back in the office. Manual creation The manual create function in the Mobile Application allows users to draw the boundaries of the activity by clicking points on the map to add vertices. When finished the points will connect and create a polygon shape. The Mobile Application can be downloaded for free from the App Store for Apple products or the Play Store for Android products. It may be most practical to make note of the activities extent on paper, either by drawing on a map or describing in a notebook where the boundaries geographically lie. The Data Maintenance Application provides functionality for a user back in the office to interpret your hand drawn notes/maps and create an activity polygon. This would be done using the create function. How do I record the attributes of an activity? Similar to recording the extent of an activity, it may be most practical to simply record the activity attributes using pen and paper. The notes you have taken would then be handed to someone back in the office and entered into the WCIS using the activity web form that appears after creating an activity shape via the create function. The Mobile Application provides functionality to record the activity attributes via an e-form after you have created a shape via the manual create or path tracking functions. In doing so you can directly enter the activity attributes, while on-site, without needing to note down on paper. The table below provides a description of each activity field and how to go about collecting the data point. Type Choose either survey or control to indicate the type of activity you are undertaking. Choose Control if you are undertaking an operation to control an infestation, such as a boom spray, or basal barking operation. If you are carrying out a search and destroy operation, which will have elements of survey and control, then report the activity as control. Method Choose whether the activity has been carried out via an aerial operation or ground operation. For example, choose Aerial where the crew has been applying control via a helicopter or conducting an aerial photography survey via a drone. Choose Ground where the crew is applying control on foot e.g. via a burning or chainsaw operation. Technique Choose the technique that was used to control the infestation. This field will only appear when you have selected Control as the Type. The options will change depending on whether you have entered Aerial or Ground in the Method field. Lead Agency Use the drop down box to choose the organisation that has commissioned the operation. If the organisation does not appear on the list please enter “Land Information New Zealand” and contact your regional champion for the Wilding Conifer Information System to get the organisation added. Enter the total number of man hours required to complete the activity. Where multiple people were involved at the same time then add the hours for each person. Cost Enter the cost of the activity funded by the National Wilding Conifer Control Programme. When an activity is created it will overlap with one or more infestations. The user must make sure that the activity has been associated to the correct infestations. This is done in the Data Maintenance Application by clicking on the related tab when with the activity selected. Review the Related Records section of the Data Maintenance Application guide for instructions on how to add chemicals to an activity.